Sarah Smuts Kennedy, an inspiring social artist, introduced me at a breathtaking pace to the ‘For The Love of Bees’, a bee social sculptural project that is animating bee life in Auckland. We went to the Bee School at the historic Campbell Free kindergarten at Victoria Park. 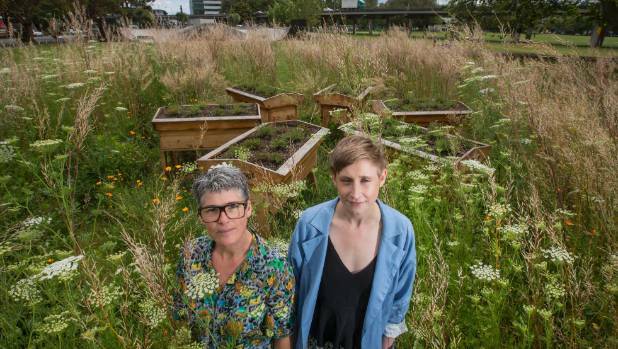 This is a carbon reducing, biological and community art project to strengthen inner city living conditions for humans and our long suffering bee population. For The Love Of Bees is a living social sculpture that imagines Auckland as the safest city in the world for bees. Our project offers opportunities for businesses, students, individuals, schools, community gardens, brand partners and beekeepers to collaborate and produce a vision that will live on through the city of Auckland for years to come. By working in collaboration with Auckland Council Parks and Activate Auckland we are creating an ecosystem that supports thriving beehive colonies by introducing hives and focusing on the quality and quantity of flowers throughout our city. Sarah animated a wide-ranging conversation, inviting a young teenage beekeeper along to teach children about bees, talking about the developing OMG partnership with CRL over leasing a ‘waste’ lot for a bee garden, education and organic pocket park, explaining the biodynamic peppering approach to deterring slugs and snails-and more included . Questions explored the scarcity of organic and biodynamic produce in NZ, how NZ communal land needed re-imagining, ‘some land is never owned’. ;land access for gardening, allotments and community gardens and Maori views of the very notion of ‘ownership’ being problematic..guardian, or custodianship better?How to introduce more profound biological knowledge? How to rebuild models of collaborative action, and support others initiatives, but in a linked up way. Planting fruit trees and looking after community orchards is one way of building commonweal. The community orchard movement is spreading rapidly as people connect to the often forgotten, neglected and secret orchards in their locality. One of the most moving, classic children’s book, The Secret Garden, by Frances Hodgson Burnett, describes how two traumatised and lonely children, Mary and Colin, come back to life through looking after a secret, special garden, with the help of Dickon who is totally at home with nature. The Orchard Project believes that, ..” orchards in London are worth preserving because they connect people with their heritage and environment, act as oases of calm in a hectic city, promote health and wellbeing, are an attractive focus for engaging people and developing skills, and provide refuges for wildlife. If they are actively managed by community groups they are more protected from development threats, and more likely to thrive. Today’s renewed interest in orchards in the urban environment may be traced to an upsurge in the environmental movement over the last 30 years or so. Common Ground, a charity founded in London in 1983, has promoted orchards and established Apple Day as an annual community event. As part of that movement, orchards are again being planted in London – no longer as private spaces but as community resources. London is a mosaic of private and public land, housing developments, brownfield sites and green spaces, rivers and canals, roads and railways. The city’s orchards reflect that patchwork. They are tucked away behind school playgrounds and in pub beer gardens, or forgotten in overgrown woodland or the corners of parks. No part of London is wholly urban or rural, so even when orchards are situated in the heart of the city, surrounded by busy roads and buildings, such as Olden Gardens in Holloway or Ferry Boat Inn in Tottenham, they are close to the wildlife corridors of railway lines or canals. One concern however, is how securely Community Orchards are protected from development, from the land being sold off and privatised? How does the Orchard Project make sure that such orchards are held in trusteeship bodies that capture and protect the community value and benefits of such orchards in perpetuity as open spaces and commons? Commonweal means the health, wellbeing, common good, happiness and safety of people as a community. It is connected with the old word ‘commonwealth’ meaning a country or state. For example, the Commonwealth of Australia or of Massachusets. 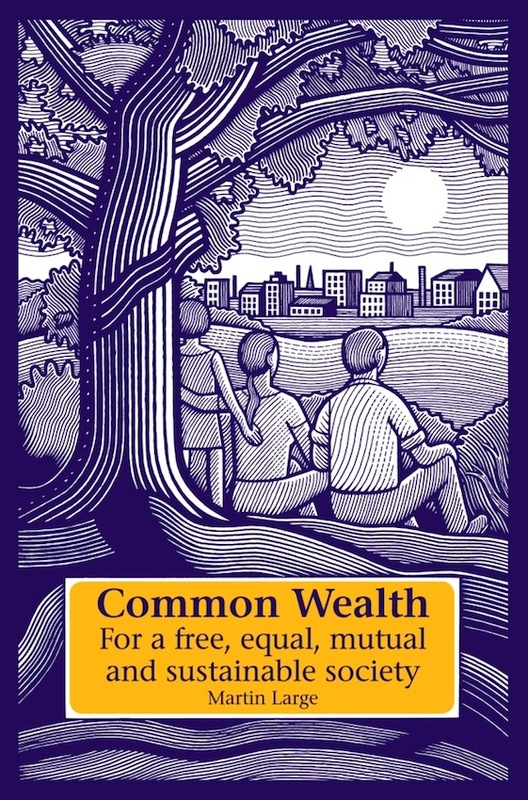 Common wealth can also mean our natural commons of air, water and land-what economists drily call ‘common pool resources’, as well as socially created commons like language, roads, parks that we all share. Building Commonweal Powered by WordPress.com.